Originally posted July 27, 2011; fixed after ruined by Squarespace then reposted October 29, 2012. Hope it was worth 5 months work to repair my site. As those faithful readers already know, I have always been in search of the perfect EMR solution for Ophthalmology and keep thinking I’ve found it. The latest iteration, after a transition that was difficult for all involved, is sort of like the latest Apple hardware…the best system I’ve ever had - until I change it again! One compromise though was to throw away the EMR ideal of one system to do everything. Even with great cooperation between the prior EMR vendor and new one, there were some bumps in the road in the latest transition. I have discussed these in the previous articles: Transition to a new EMR the first 2 weeks and Why we’ll never see EMR/EHR interoperability - myths about HL7? To summarize, although data is exportable from one HL7 ‘compliant’ EMR to another, there are still enough proprietary ways this data is handled that you need cooperation from both your prior EMR vendor and your new vendor so export ALL the data you need and make it importable at the other end in a usable way. Although there was great cooperation, I just discovered a couple of weeks ago that a major amount of data was never exported. All parties involved had presumed that ‘Documents’ in Accuro contained all the patient related documents for all office visits, including the encounter notes, letters, and ancillary test results. That turned out to be a bad assumption. Accuro, being a form based EMR system, had a distinct subset of data that was called Forms which is where all the patient encounters were stored. It took a couple of months to realize that the reason we could see all test results, consult and referral notes but could not seem to find any of the actual patient visit notes was because this data was never exported. A lesson to learn here is to figure out a way to be sure that you are exporting ALL your data; don’t make assumptions. I knew when making the move to TeckSoft’s EyeVu that billing was not integrated. Their rationale behind that is a sound one; there are enough complexities with billing that there are other solutions that can handle it. As part of the reason for migrating from Accuro was billing related (could only submit full days and not single items) we returned to Osler Systems for billing. 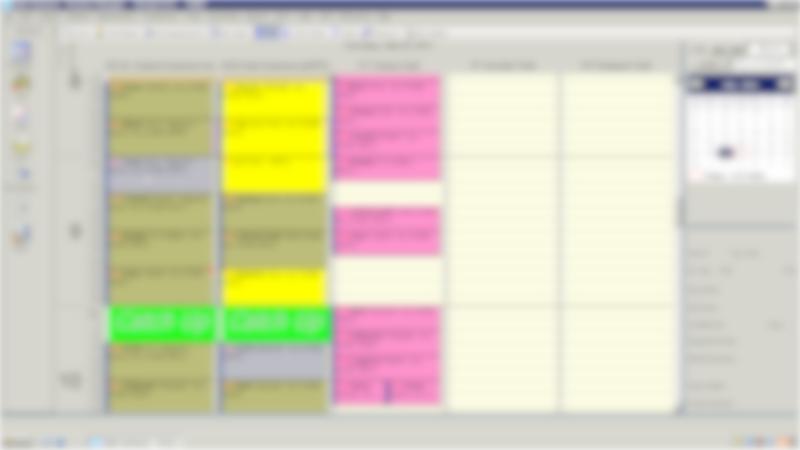 This was the first billing and scheduling software that I had used after moving to BC in 1999. It is still a superb EMR for billing and scheduling, but is not a viable option as a full EMR solution for Ophthalmology despite being one of only 5 systems with complete PITO approval (provincial accreditation for EMRs - which are all really GP based and not viable for specialists.) TeckSoft was able to build a customized widget so that billing could be entered within each patient encounter. This was a good but not great compromise as this still required generating a special report at the end of the day to export all the data to Osler, open Osler to import the data, then verify it all. At least with Accuro, the billing was automatcially generated based on the type of appointment that was booked. We took one step forward with our EMR in terms of the improved patient encounter experience but a step backward with regard to billing and what turned out to be a giant leap backwards with the scheduling system. For these reasons, I think we can break away from that ideal notion that one EMR system needs to handle patient encounters, scheduling and billing. We are now thrilled to have a state of the art system in TeckSoft’s EyeVu for patient encounter, Osler Systems’ Practice Manager to handle scheduling and billing and viewing software that EyeVu launches directly to the correct patient for our HRT nerve scans and Medmont Visual Field tests. Accuro is still a great integrated solution that will serve many people well but was no longer the system for our needs and my desire to push things to the limit.